When we sat in the room with our lovely consultant I think I already knew what he was about to tell us. He gently and matter of factly told us our chances of having another baby would be “very very slim”, “possibly even with IVF”. He was gesturing to emphasise his point and I noted he didn’t say “never”. But I don’t think the medical world is really allowed to use that word. I half expected one of those moments where its eerily silent and you hear nothing except the clock ticking away doing its rhythmic thing. I hate ticking clocks. Who the heck invented them? They are such a distraction. Its not how it happened though. I accepted it just as matter of factly. It had been over two years and we’d had what felt like a million tests plus a whole cycle of treatment to get to this point. We were still considering another cycle. By this point though all I wanted to do was have a big break and book a huge holiday. It was November and I really didn’t want to spend yet another year wondering what was going to happen. Even though I did wonder. So we set about looking for holidays. The Other Half typically wanted to “just relax”. I wanted the polar opposite and decided seeing the Northern lights would be absolutely perfect. After various amounts of research we ended up meeting in the middle and booking a sunny trip to Mauritius for a few months time. So it was, we started to come to terms with our little family of three and by sheer coincidence a good friend happened to be collecting for various women’s and children’s charities. December was one of the peak times for women’s refuges. As were children’s foster homes. We decided to have a massive clear out and give all of Little Z’s baby gear to people that would get some use out of it. Our large number of excess nappies bought during a crazy Amazon shopping spree went to our first time parent friends who gratefully took them off our hands. A whole box of toddler clothes went to the hospice shop and about a million noisy toys went to various places that are hopefully making a lot of children happy now, and probably annoying their parents. It actually felt good to have such a big clear out ready for a new year and ready for our new clutter that we would no doubt fill the newly acquired space very quickly. Roll on about 3 or 4 weeks later and I got my eerily quiet moment where you hear nothing but the clock ticking. It took me a few minutes to stop staring at the “Pregnant. 1 to 2 weeks” result on the pregnancy test. At about 6am in complete darkness I violently shook a sleeping Other Half out of his deep slumber so I could wave the stick at him. There was more confusion followed by confirmation that it was an “expensive test, not a cheapy one” followed by more tests. Just to be sure. We stopped after 6, stared at each other for a while, then spent the next few weeks in a bit of a happily shocked daze. Attempts at trying to persuade the community midwife to send me for an early scan didn’t work so it felt like the longest wait ever to get to the 12 week mark. The day did finally come as we both practically ran into the sonographers room, dived onto the bed and almost shouted “scan me, scan me!”. There was a bit of a false start as I had drank way too much and, besides feeling like a tank, had completely squished the baby. After getting a lot more comfortable (aka “please have the world’s biggest wee and come back with an empty bladder”) we started again and there, on the very large display screen, was one tiny baby merrily kicking away examining its hands and occasionally glancing directly at us, completely oblivious to the journey we’d been on or that it was there regardless of what logic or all the tests dictated. It didn’t care, it was happy and developing well so far. It finally sunk in at that point that we were having a baby. And it was behaving a lot like Little Z was on his first scan. Uh oh. This entry was posted in Toddler and tagged finding out about pregnancy, pregnancy after failed ivf, pregnancy test, pregnant, surprise pregnancy. Bookmark the permalink. Yaaaaayyyy! I am so happy for you, that is such amazing news!! I’m crying! So delighted for you! Congratulations!! Yay that is the best news EVER!!!! So lovely. I can’t wait to follow your journey. fantastic news, big congratulations 🙂 I remember that we had given up trying and booked a holiday when I had my first positive test…that was 10 years and 3 babies ago! Wow, what a lovely surprise. Huge congratulations. Are you still having your holiday? Congratulations, it’s so exciting for you, and now you get to buy all new baby bits! I bet you were absolutely gobsmacked when you saw the test say positive. I’m so pleased for you. 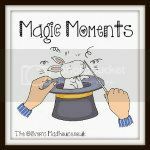 Popping in from Magic Moments. Such a gorgeous post to read, Huge congratulations to you all. Oh Tas, I am utterly thrilled for you. So, so pleased! Anya from Older Single Mum and The Healer recently posted…The Big 5 Life Lessons. FromMummytoMum recently posted…Happy 5th Birthday [party] Declan! It is the most fantastic news. How often does it happen though that someone has just got rid of all the baby stuff and then lightening strikes? Best of luck. Can’t wait to read about how you get on. Tanya Leary recently posted…Here comes the Summer…WIN tickets to GERONIMO – The Biggest Children’s Festival in the NW! wow! How fantastic for you all! Congratulations – and while it’s a shame you just got rid of your baby things you now have the fun of getting all over again! I loved baby shopping! Also, your post makes me wonder why we, as a society, haven’t legally outlawed all ticking clocks from public spaces where emotionally charged situations might occur? Never once has something been made better by a ticking clock on the wall. Wow! That’s fantastic. And congratulations on becoming an urban myth (the people threatened with IVF that then went ahead and got pregnant anyway). How very typical when you had just gotten rid of all of the baby things. I swear whenever I clear things out I need them immediately after. Hope your not feeling too poorly with morning sickness and chasing after your boy. Mama, My Kid Doesn’t Poop Rainbows recently posted…My baby has a better social life than me.